All my life, I have longed to have sudden healing, a sudden breaking of addictions through the power of God, a sudden change of the deep structure of my personality. But sudden and dramatic change has never happened for me. It’s been slow, slow, slow. 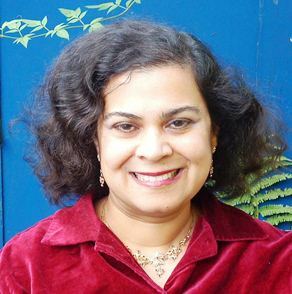 Well, after an ultrasound showed abnormal results I was biopsied for endometrial cancer for which the greatest risk factor was being overweight. Which I am. Should get the results in a couple of weeks. And of course, I was full of remorse and shock at what I had done to my body. You know until quite recently, I thought the reason I was overweight was that I ate carelessly, ate the wrong foods, and didn’t exercise enough. I have now realized that it’s because I eat when I am not hungry—but empty, bored, stressed, frustrated with work or life, thinking of food, sad, depressed, or even happy!! That’s so silly. It’s like making money when you are hungry; or watching a movie rather than inviting a friend to coffee when you are lonely. But–of course, changing the response to the stimuli (being angry, stressed, lonely, bored, anxious, restless, happy) to an appropriate one, rather than cure-all eating is going to involve slowing down. And that is the only way to do the spiritual life—Slow!! Food has been a short-term cure-all for me, and since I have a very sensitive body chemistry, sugary food and carbs swiftly sends my blood sugar and mood rocketing sky-high, with a corresponding plunge into lows, which would be cured by—more eating. All this had nothing to do with hunger but with addiction to sugar highs (chocolate, cookies, fudge, waffles, breads, crisps). Sugar addiction is as toxic and serious as other addictions. After you’ve eaten sugar—blood sugar soars, then plummets, and the body craves more sugar. The only way to break it is cold turkey. Or the grace of God. So, I humble myself and go and seek prayer for emotional or comfort eating after church on Sunday, Feb 12th. And it’s as if all lights come on in techni-colour brilliance. And so I start–when tempted to eat because I have thought of delicious food and now crave it, or am bored, or empty or sad—to stop work, lie down and pray in tongues for the filling of the Holy Spirit. The interesting thing about this, is that it is one prayer Jesus tells us will always be answered. I have always found the experimental nature of Christianity fascinating. Taste and see. I have found that when I stop activity and pray in tongues for the Holy Spirit is takes probably under 5 minutes for me to feel bubbly and happy again. Hey, sure beats chocolate. I will leak, and need a refilling, of course–as with chocolate–but really, the Holy Spirit for my heart and soul hungers—that’s the way for me. So this happened nearly a month ago now. How am I doing? I really did well in the beginning. But Jacob, limping, would always have needed a stick for long distances. I will only be cured by continuing to walk with the Holy Spirit. It was a healing, insofar as I was given grace to turn to the Spirit instead of to food, but it’s a healing that will need me to decide to walk in it each day. I noticed I was slipping yesterday, nibbling on ginger biscuits a friend brought me, eating chocolate macaroons at another friend’s house. Yes, I received the sort of healing that brought me to the place where I had strength to put on prayer and the Holy Spirit instead of food, but I still have to remember to ask, put off, put on. I am really interested in the psychological dimension of healing. I have a friend who has crippling SPD, symphysis pubis dysfunction. Each time she was prayed for, she became better. And then relapsed. A pattern: prayer at New Wine, after church services, in small groups. Heat, feeling dramatically better. Delighted declarations of this. Then a relapse. Yesterday, a blogger, Emma, described feeling pain relief from a ulcer on her tongue for one hour after a parishioner prayed for her, and two hours after the leaders prayed for her!! So what’s going on? Were these women healed for just an hour or two? Or did faith falter after an hour or two, as Peter’s faith faltered when he walked on the waters. And, as you’ll remember, he began to sink. Does receiving healing involve the present continuous, continuing to believe that you have been healed, continuing to thank God for his healing. For me, I believe I received emotional healing. So my cravings are less strong; I can pray for the Holy Spirit when tempted to eat when I am not hungry rather than grabbing chocolate or crisps. But I will have to continue to do so, to walk in my healing. 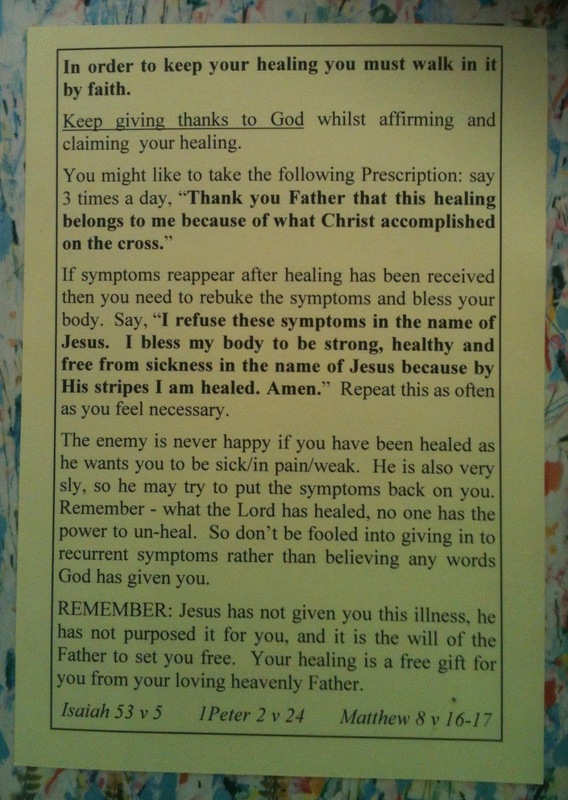 I picked up this leaflet on How to Keep Your Healing when I went to Fflad-y-Brenin late last year. We sometimes need to continue walking in the faith through which we have been healed. Hi Diane, It wasn't pray for deliverance healing, just regular prayer for help and healing. As I said, my emotions generally heal slowly, though I remain enamoured by the idea of sudden deliverances and transformations. That's a great plaque. Should make one!! 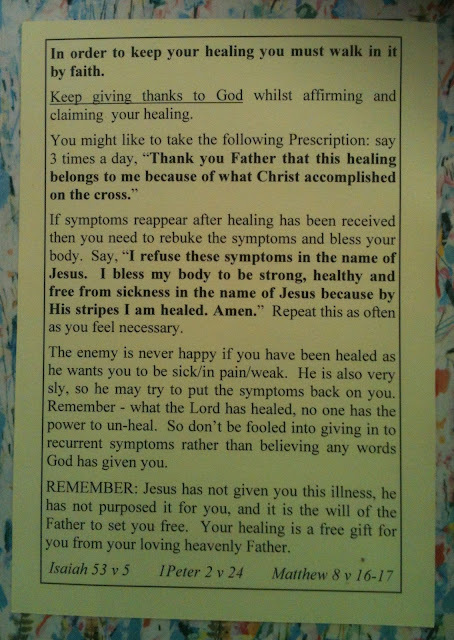 I don't think most emotional healing comes as deliverance healing. I think many times God says, “OK, here's the path, I'll help you walk it” And renewing our minds with what he says about himself, his path, and how to walk it … as we do what he says, we change our thinking, which changes our doing. You're wise to have asked for help and to be sharing about this, because a big component of God's path is being connected to others as well as to him. Another key piece is figuring out what's in those uncomfortable feelings that drive emotional eating and being willing to sit and feel those feelings instead of running to food to make them go away. I used to have a sign up: FOOD WON'T FIX IT. WHAT WILL? I still think that sums it up. I should add that I don't do any of this perfectly!